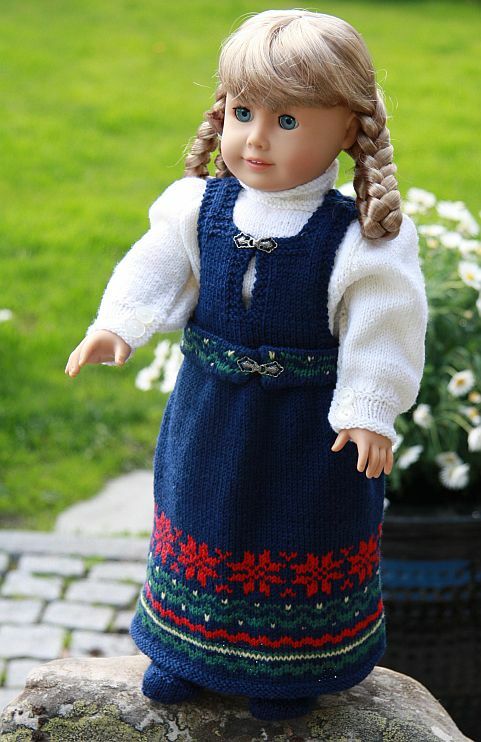 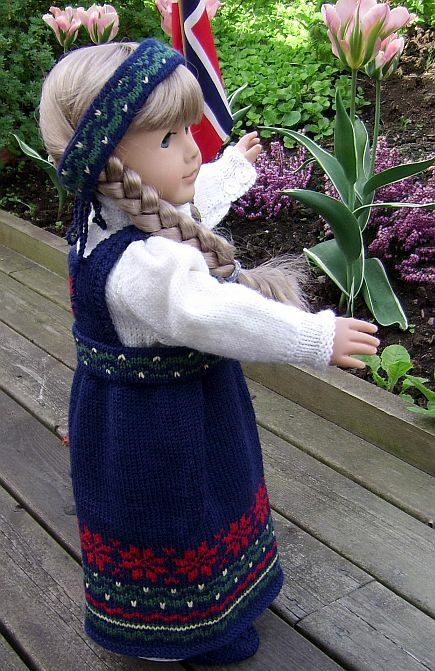 Many of you have been asking for a Norwegian National Costume, a "real" Norwegian "Bunad" to the doll. 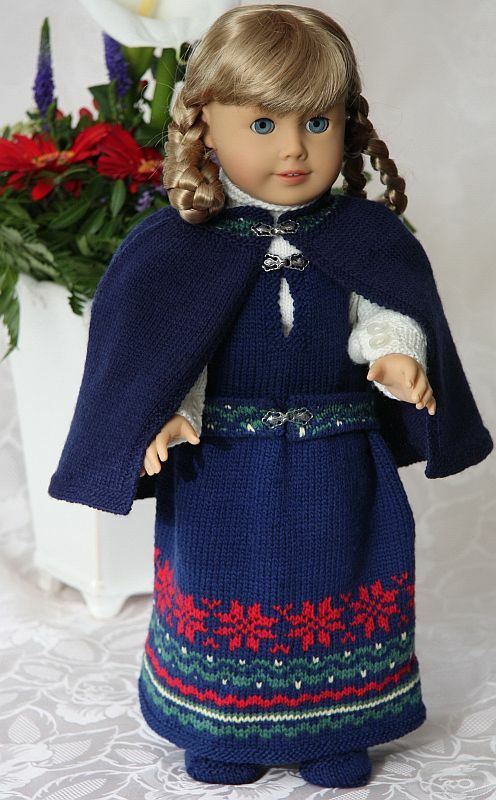 We thought the American Girl Kirsten Larsson is the right doll to celebrate the Norwegian Day of Independence, May 17th, dressed in Maulfrid's beautiful designed National Costume. 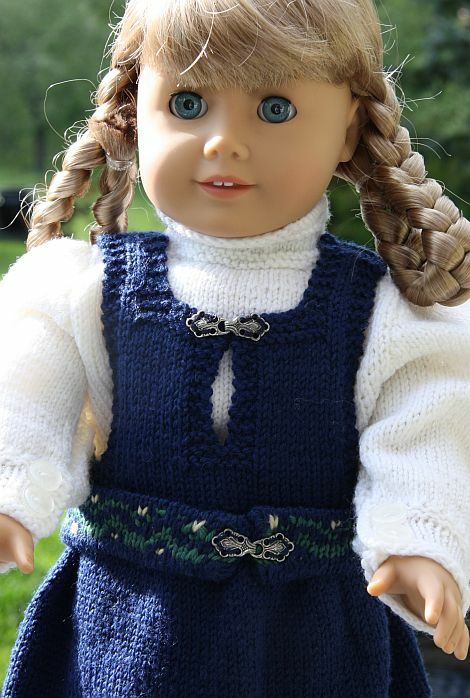 This is number six in a collection of twelve specially selected outfits for American Girl Kirsten Here are the five costumes that are already in place. 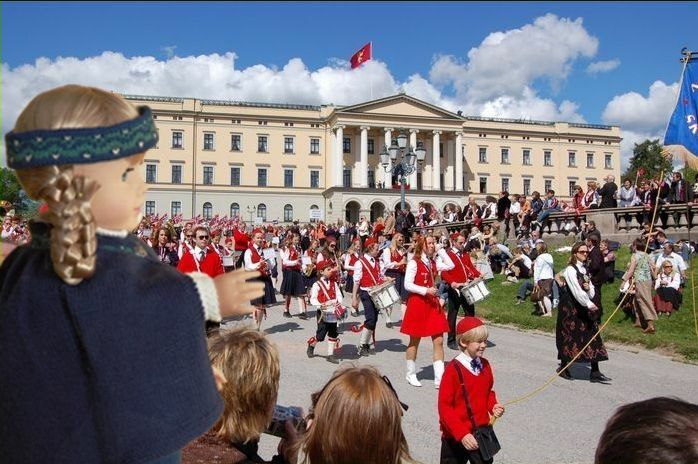 Kirsten and the children's procession in front of the Norwegian Royal Castle. 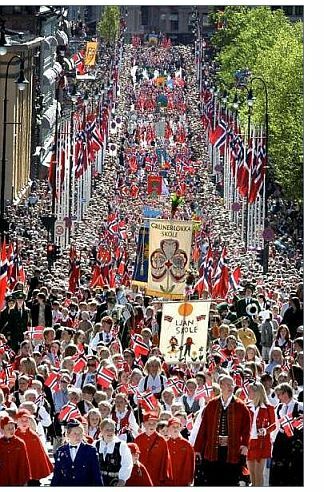 When Norwegians, tall and little, are gathering in the streets, it is for celebration of freedom, democracy, happiness and Norway as a good country to live in. 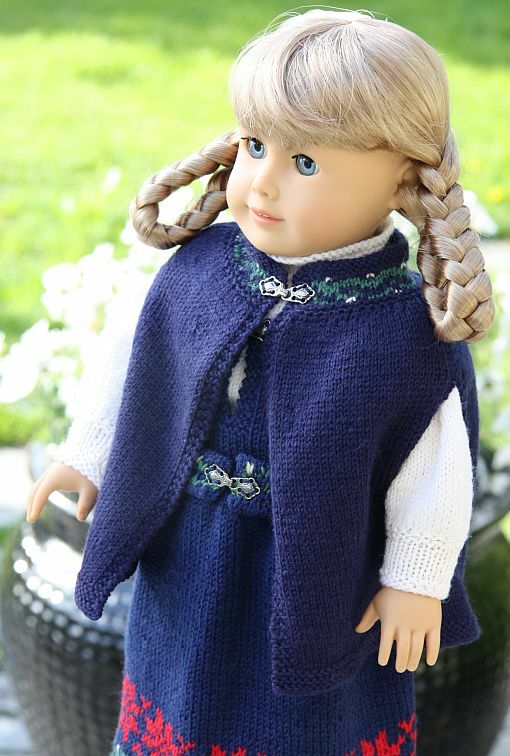 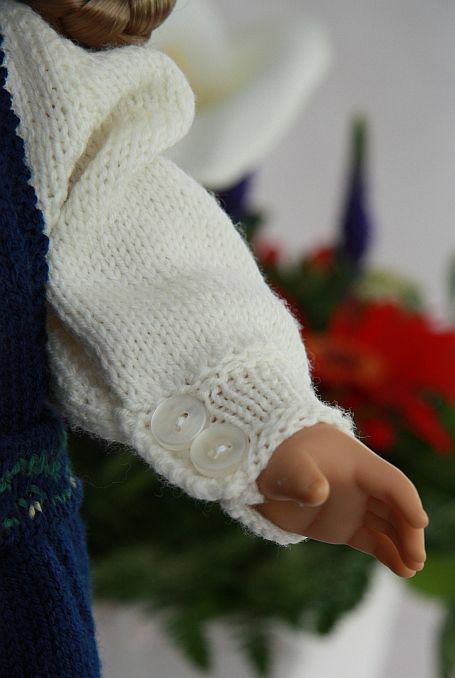 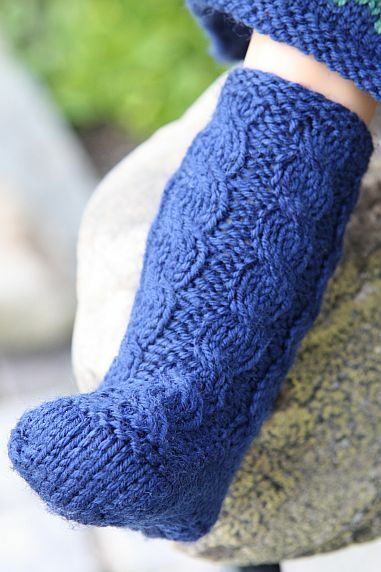 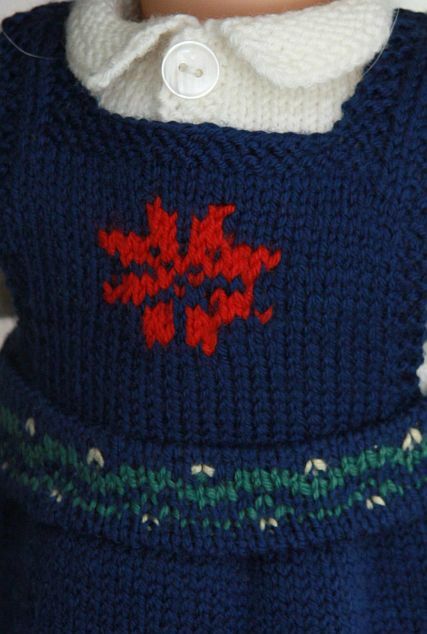 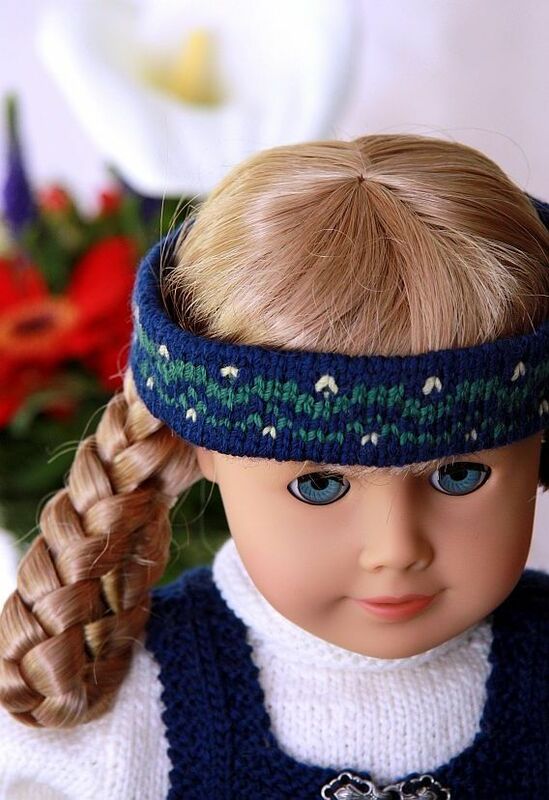 Knit this pattern, dress your doll with these beautiful clothes and set it on a visible place in the living room, and your doll will get attention and compliments. 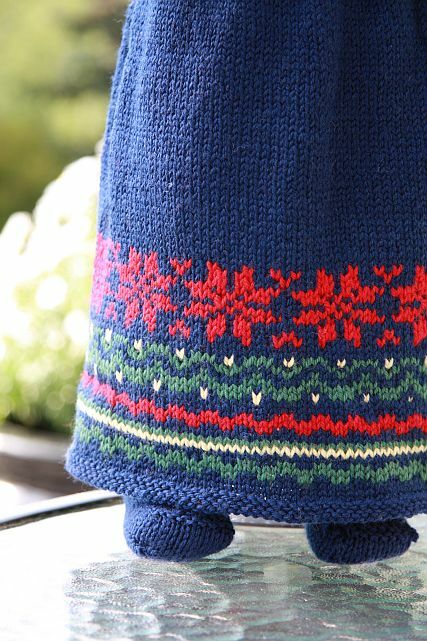 below to the right here and send it to an interested friend or someone in your family.